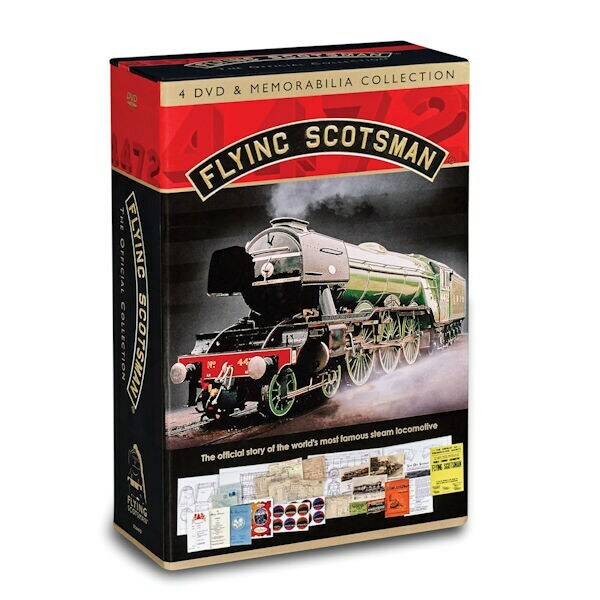 A British national train treasure, The Flying Scotsman was one of the world's most famous steam engines, traveling between London and Edinburgh for four decades. 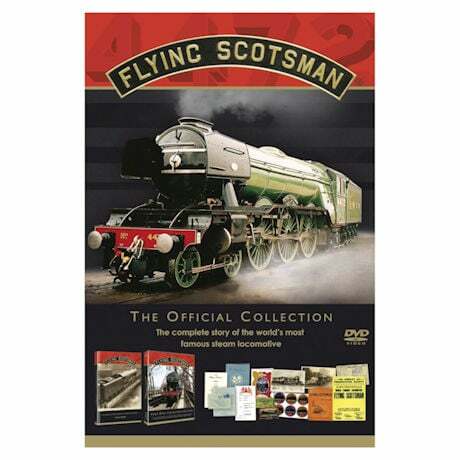 Ten films tell the complete story of Sir Nigel Gresley's masterpiece. 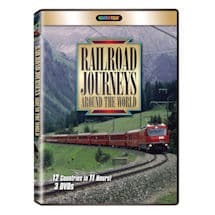 Includes The Flying Scotsman starring Ray Milland (1929), official films from the 1960s, excursion footage, the engine's U.S. and Australian adventures, and the restoration. 10 hrs, 4 DVDs, color and B&W. 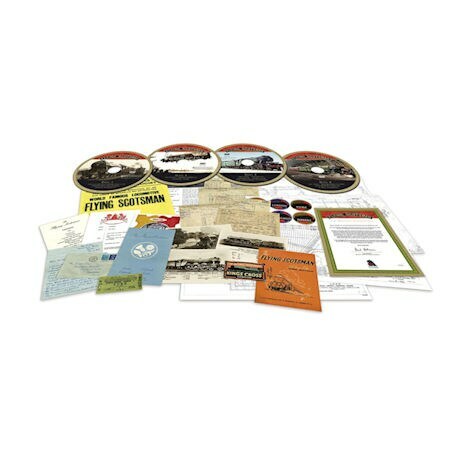 A memorabilia collection features tickets, dining car menus, luggage stickers, and more, re-created from items in the National Railway Museum.